The newly elected president of the NEM Foundation, Alex Tinsman, told CoinDesk Wednesday the Singapore-based NEM Foundation now intends to submit a funding request to the NEM community fund for 160 million tokens (worth roughly $7.5 million), money that would be used to rescue the organization. NEM tokens are listed under the XEM ticker with a circulating supply of 9 billion, according to CoinMarketCap. At press time, XEM is the world’s 18th largest cryptocurrency by market capitalization. “Basically we realized we had a month to operate, due to the mismanagement of the previous governance council,” Tinsman, who took over the non-profit in January, said in an interview. As a result, the foundation’s 202 members – people who undergo identity checks and pay an annual $50 membership fee – will be asked to vote on the funding request in February after it’s published on Thursday. The number of layoffs will be determined by how much funding the community approves, Tinsman said. NEM’s XEM token launched in 2015 under the guidance of former foundation president Lon Wong. The cryptocurrency is primarily used for transaction and service fees on the NEM blockchain. The full launch of the platform’s native engine software, called Catapult, is scheduled for later this year. In the meantime, NEM pilot projects have often focused on use cases such as voting. Indeed, Tinsman herself was elected in a process that used NEM’s platform. According to a longtime NEM user, a developer who asked to stay anonymous because he worked directly with departed leadership, Wong faltered when he used his visibility at the foundation to promote “sketchy” initial coin offerings such as Ecobit and ProximaX. The ProximaX token sale reportedly raised more than $33 million in 2018 and the company’s website lists Wong as the CEO. The anonymous developer said “the community felt this was a breach of faith,” adding there is still a great deal of work to be done in order to encourage developers like himself to actually use the blockchain. Tinsman, a former communications executive at the foundation before 148 registered members elected her to lead the nonprofit, is embarking on a much more disciplined roadmap for 2019. She said teams will be given specific budgets and required to perform more open-source documentation of their progress making tools for the NEM ecosystem. “The community will also be voting on these [funding requests] and which ones we should be moving forward with,” she said. Tinsman further plans to monetize the foundation’s activities in 2019, including enterprise training and affiliate marketing, to reduce the nonprofit’s reliance on community grants. 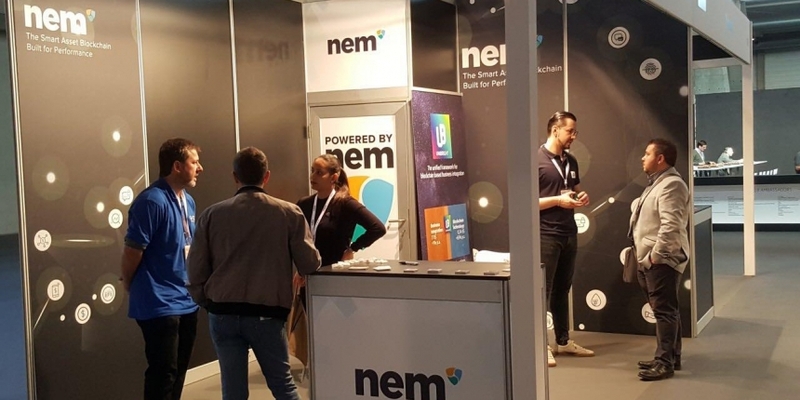 NEM conference booth image via the NEM Foundation. UPDATE (31, January 15:00 UTC): The headline for this article has been updated to more accurately describe the NEM Foundation’s financial situation. It is running low on cash, but that does not necessarily mean it will seek bankruptcy protection from creditors.